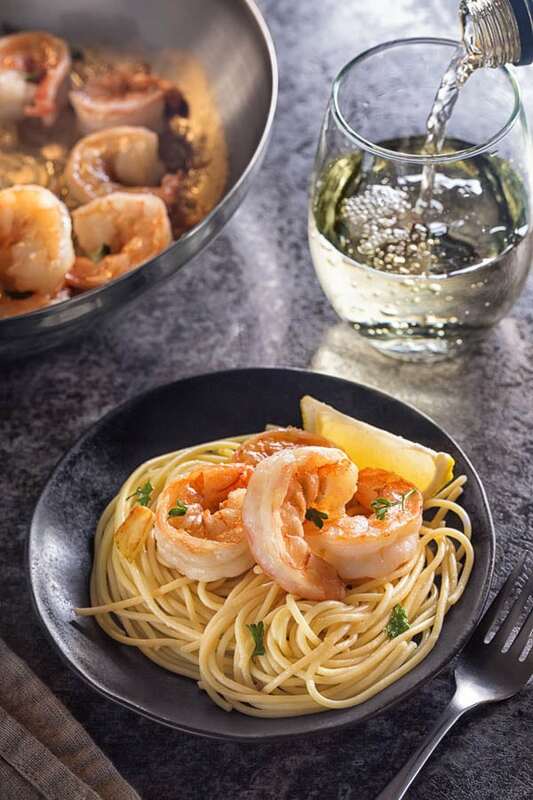 Plump, succulent shrimp sautéed in an aromatic garlic butter – perfect dinner in minutes. It’s also great for snacking! This’s got to be one of the easiest shrimp recipes out there. The shrimp are plump and succulent and infused with aromatic garlic butter through and through. What makes this shrimp recipe so special? SPEED. The key to those soft flavorful shrimp is not to over-cook them, which means you need to keep an eye on them constantly. Because there’s nothing worst than biting into rubbery tough shrimp, aka overcooked beyond recovery. That’d be a crime! Promise you won’t let that happen. And luckily, the whole cooking process takes mere minutes!!! Yep, this quick garlic butter shrimp will be your go-to weeknight meal, when you need to get the dinner on the table like 10 minutes ago. Serve the sautéed shrimp over pasta for a complete meal. Or double the batch and serve it for a game day as an appetizer. Hope you’ll try this recipe soon and enjoy that sizzling aroma of garlic butter! The BEST! 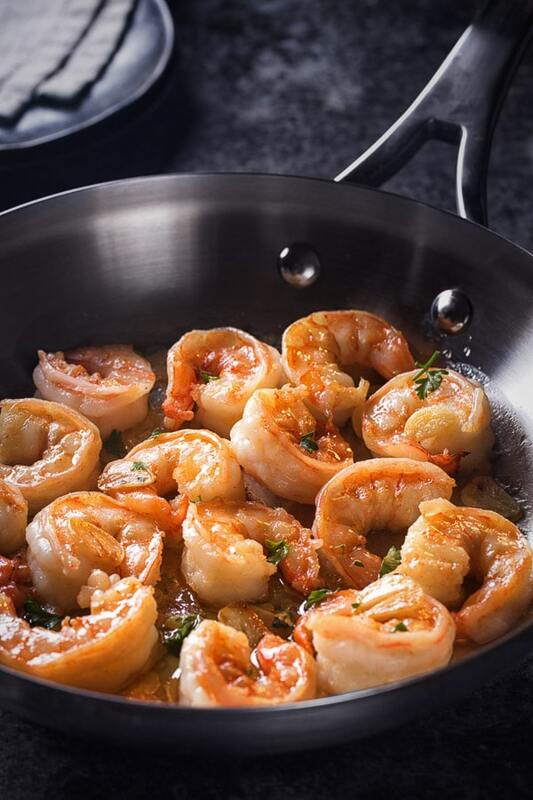 Plump, succulent shrimp sautéed in an aromatic garlic butter – perfect dinner in minutes. It’s also perfect for snacking! Add garlic and saute for 1-2 minutes, or until nice and fragrant. Add shrimp and salt. Cook for couple minutes, until they just turn pink, turning them once half way. Add the remaining butter and wine. Continue to cook until shrimp are opaque, stirring frequently, about 3-4 minutes. Don’t overcook them, or they’ll become tough and chewy. If serving with pasta, remove the shrimp onto a plate and add cooked pasta into a skillet. Stir the pasta in the remaining sauce and serve.